Registration is now open! Docomomo DC is pleased to invite you to its annual fall Tour Day, which will be held this year on Saturday, Oct. 7, 2017. This year's lecture and tour will feature Washington, D.C.'s brutalist architecture. Docomomo DC will host Rediscovering Brutalism, a lecture and tour highlighting the unique brutalist architectural heritage of Washington, D.C., as part of this year’s annual, nationwide Docomomo Tour Day. Brutalism is an architectural style everyone loves to hate, but it marks an important period in the history of design and in the architectural legacy of Washington, D.C. Recent demolitions of brutalist buildings in the city have shown that now is the time to reevaluate and celebrate this architecture. Rediscovering Brutalism will begin with a lecture by architectural historian Michael Kubo on the evolution of brutalist design and its development within Washington, D.C. Kubo is an assistant professor of architectural history and theory at the University of Houston and co-author of Heroic: Concrete Architecture and the New Boston, a history and analysis of Boston’s brutalist architecture, and the new Brutalist Boston Map. 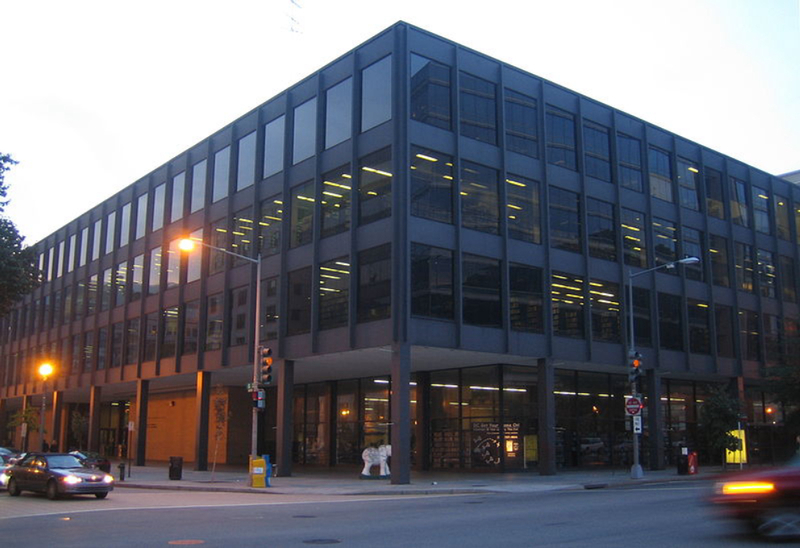 The lecture will take place in the boardroom of the AIA National Headquarters, a classic example of D.C. brutalism that was designed by The Architectural Collective (TAC) and opened in 1973. A walking and Metro-riding tour that highlights notable examples of brutalism from downtown Washington to Dupont Circle will follow the lecture, with guests invited to debrief at a post-tour happy hour. Lecture followed by Walking + Metro Tour with happy hour. Registration for the tour is through Eventbrite. Tickets cost $35. Students and members of Docomomo, the DC Preservation League, and APT DC receive a discounted admission of $25. Those in attendance will each receive one keepsake copy of the Brutalist Washington Map. Can't make it to Tour Day 2017? Follow along on Twitter and Instragram at @docomomo_dc. On-street parking is available near AIA National. Recommended Metro stops include Farragut North on the Red Line and Farragut West on the Blue/Orange Line. Contact Lucy Moore at LMoore@quinnevans.com for questions. Find us on our website, on Facebook at Docomomo DC, and on Twitter and Instagram @docomomo_dc. Our lecture and tour will take place rain or shine!